[JACKSON, Andrew]. MACLAURIN, A., calligrapher. 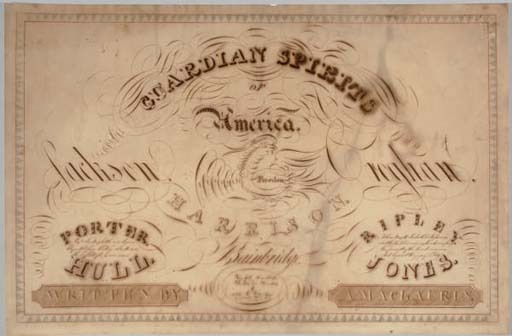 Guardian Spirits of America...Jackson...Croghan...Harrison...Bainbridge...Respectfully inscribed to Columbia's free-born sons by the writer, August 20th 1822.